On October 1, 2014, my husband and I signed the lease on our Dream Location! That was an exciting day for the both of us! In fact, that was the day that I realized that I am finally moving in the Direction of my dreams and I could hardly believe that we were sitting at the table with the children of the man who built our new location over 20 years ago. I shared this with you to let you know that, your name speaks volumes about your Business! Also, be sure that you have an assigned maintenance person when negotiating a lease or even buying a building. Read the entire eNewsletter now! Are You Ready To Expand Your Family Home Child Care Business? I want to help you to expand without any Anxiety or Worries!! I can remember when I was ready to expand my Child Care Business back in 2002. In fact, After only five years of my daycare being in my home, I wanted my home back! Furthermore, I knew that it was time to move the daycare out of my home into a commercial location and I didn’t think twice about my decision to expand, I just began to take action! My entire home was a daycare and there was very little space for my family to live. I had officially outgrown the space I was in. Also, I knew that I needed to reach more families and I wanted to provide a high quality services to more children. You are probably wondering what steps I took to get prepared for the expansion? Well.….I bought a Center management book, I bought a Curriculum book, I studied major Child Care Chains and I began looking for a building. To be quite honest with you, I still was not prepared for all that came with operating a Center. In fact, When I opened my center, I was equipped to run a quality center, however, I was not prepared in the area of Leadership and all that came with running a Child Care Center. Too many books are written by people who have never Operated a Child Care Center and there are very important details that are not included in many Child Care Business Management books. That is why I am so excited to share my expansion story and empower you to expand with all the tools you need to Succeed. Are you ready to expand your Child Care Business? Do you want to know what I did to get started? Are you eager to find out why leadership development is so important to your Business Success? Finally, Do you want to find out how to Effectively Manage a Child Care Center? If so, I want to hear from you? I am planning a Teleseminar just for Family Home Child Care Providers who want to Expand their Businesses! 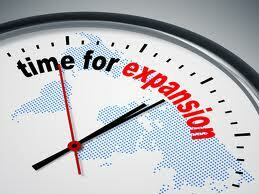 If you desire to expand, Please post your questions below and tell me why you want to expand. I want to help you to expand without any anxiety or worries!! Talk to you soon….